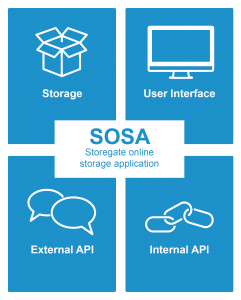 SOSA (Storegate Online Storage Application) give you full control over your cloud solution and your users. The platform supports all your customer´s needs to efficiently store, access, share, work or collaborate in the cloud and you only pay for what you use. SOSA is built for high availability and scalability, which is essential for this type of application. The platform also provides APIs that can be used to integrate with internal systems or external services. With an on-premises installation, the Enterprise get the SOSA platform installed in their own data center and on the hardware of their choice. 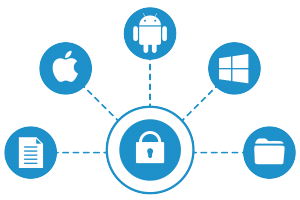 The SOSA platform is built on Microsoft .NET framework and requires Windows Server as operating system, apart from this SOSA has no restrictions when it comes to the choice of hardware vendor. SOSA supports any storage which can be accessed using CIFS/SAMBA which also gives great flexibility in terms of choosing hardware vendor for storage. SOSA can be deployed on physical servers as well as virtual servers. Storegate offer all services as a hosted solution which provides your business with a new way to get a cloud service for your users at a predictable cost. Rather than purchasing hardware and software, a Storegate hosted solution offer cost effective business models. 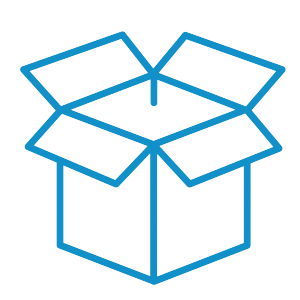 Storegate takes care of ongoing upgrades, maintenance, security, and any other IT headaches. The platform support full branding to your corporate profile. You can provide your own company name, logo, application icons and product names, and they will be used on the web and in the clients and apps. It’s also possible to use your own domains and SSL certificates. With our powerful Admin tool, you are able to make changes to texts, images, phrases on your own. Storegate is a European based cloud provider that has been in operation since 2003. Storegate’s suite of applications and services are chosen by leading service providers and enterprises around the world to enable millions of users to store, access, share and work online under industry-leading security and safety. HP Helion uniquely combines OpenStack® and Cloud Foundry to deliver a cloud platform based on open standards, and enterprise-grade security, reliability and manageability. 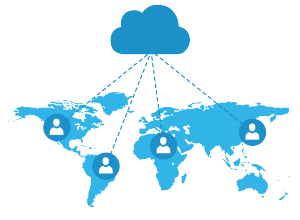 HP Helion helps customers build and manage hybrid cloud services at enterprise scale. 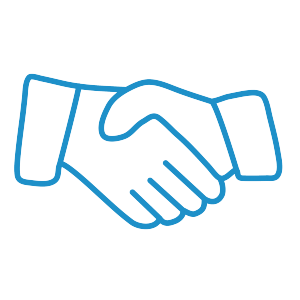 The HP Helion Ready badge signifies that our software can be confidently deployed by customers with HP Helion OpenStack and HP Helion Development Platform and will be fully supported by us. 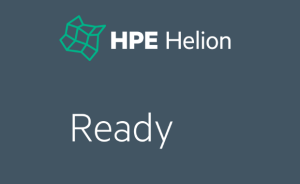 For more information about the HP Helion Ready Program.